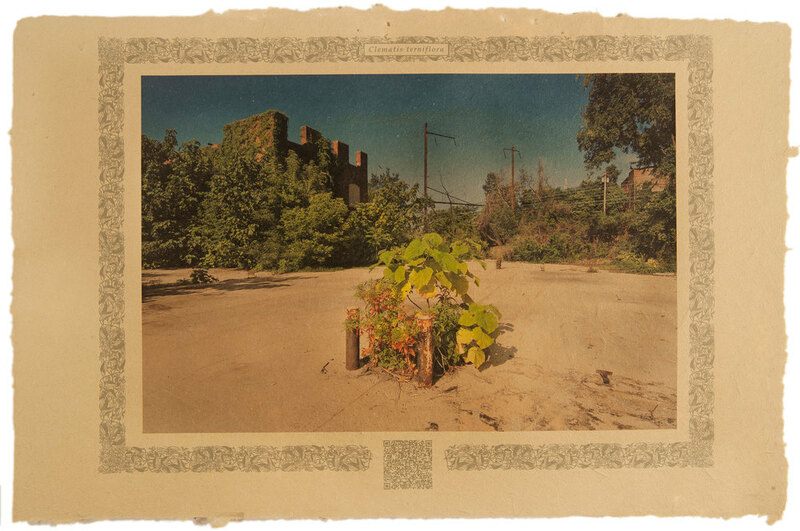 This is a small suite of prints from the Uncultivated series printed on papers made from non-native plants appearing in the photographs. Clark and I performed the labor-intensive papermaking process, which included harvesting the plants, peeling, cooking, beating, washing, and sheet formation. Each print includes a QR code, which when scanned leads to the image's corresponding webpage containing information on all the plants in the photograph.